Frankfurt’s cobblestone roads and half-timber roofs in a somewhat medieval background are quite ideal for those looking for laid-back weekends as well as interesting and peaceful walks. However, Germany's fifth-largest city is much more than that. Its skyscrapers, bustling city centre, hundreds of commercial banks, and year-round trade fairs also make it a financial hub and a treasure chest of employment opportunities for expatriates. Nicknamed Mainhattan, Big Appel, and Bankfurt by its neighbouring towns and cities in Germany, Frankfurt is definitely a centre of financial and trade action in the country that is consistently dubbed as an alpha world city. In fact, this city outranked Munich and gained the reputation as Germany's financial capital. 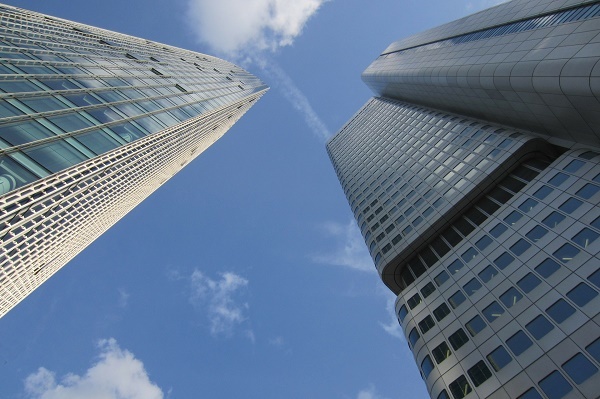 Many prominent financial institutions are headquartered in Frankfurt including the European System of Financial Supervisors and the Single Supervisory Mechanism. Frankfurt doesn’t just attract talented expats but also many gigantic multinational businesses whereas it is regarded as one of the top three (after London and Paris) European cities for international companies. The wealth of jobs in the financial sector, especially banking, is one of the primary sectors that generate employment in Frankfurt. Several major banks such as the European Central Bank, Deutsche Bank, and Commerzbank all have their head offices in this city. Aside from being a banking hub in Germany, Frankfurt is also a centre for media companies. The city currently has about 570 advertising companies and 270 public relations companies. Advertising big names such as McCann-Erickson, Saatchi & Saatchi, and Publicis have offices in Frankfurt. Further expanding the employment opportunities are management consulting firms, and companies handling electronic communications. Trusted firms like Accenture, McKinsey and Company, and Oliver Wyman can be found in this city. Backed by its flourishing economy, Frankfurt is home to numerous businesses. This allows the city to have a job density of 922 for a population of 1000 people. To say it simply, Frankfurt has the highest concentration of jobs in Germany. An employment fact in Frankfurt; despite its numerous banks and advertising companies, the single largest place of work in the city is the Frankfurt International Airport. It is the busiest airport in terms of passenger traffic in Germany and in terms of cargo traffic in Europe. It also serves the most number of international destinations. Work hours in Germany are short and most offices, particularly in the public sector, close at around 4 pm. However, expats should know that employees in Frankfurt work efficiently and are considered to be highly productive. The only time you will see them relax or chat is during the short break period which is usually 15-45 minutes for lunch. The German Labour Law also indicates that employees are allowed to work eight hours daily or for a maximum of 48 hours per week. In Frankfurt, the people respect hierarchy, rules, and structure. Their mindset at work is to always achieve or do well on the task at hand. On this note, as an employee, you are expected to follow processes and reach the goal set for you. When communicating with your colleagues (or your boss), be direct and straight to the point. If you receive criticism about your job in a somewhat confrontational way, respect this as part of the German communication culture and do not consider it a personal attack. Punctuality is also a major factor in the German workplace, so if you're scheduled for a job interview, a meeting, or a presentation, you have to be at the venue earlier than the scheduled time. Being late for even just five minutes is already considered disrespectful. Your German counterparts or colleagues in Frankfurt may also be more private when it comes to their personal lives. So, when interacting with them, steer clear on private, personal matters. The employment opportunities in Frankfurt are plentiful, the sights and sounds are awe-striking, and the mixture of different nationalities makes it even more interesting.